Looking for the perfect holiday finger food dessert? 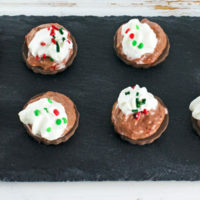 Everyone loves this no-bake chocolate peppermint cheesecake bites recipe! I seriously can’t believe that Christmas is almost here. This year I’ve slowly been getting into the festive mood and putting together some ideas for a holiday appetizer party with friends. As I always say, I’m a big fan of finger foods so I can try a bunch of different dishes and flavors without totally overdoing it. This year I wanted to do something different for my holiday appetizer dessert other than the usual cookies. 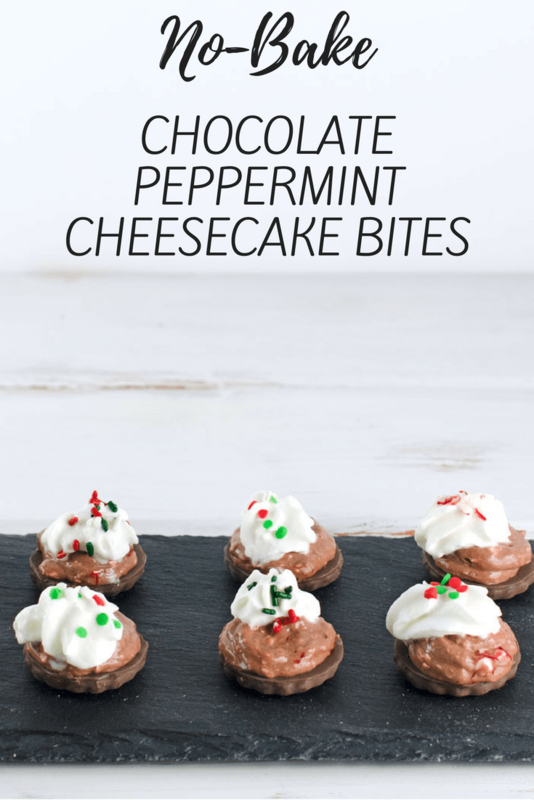 Pretty much everyone loves cheesecake, chocolate, and peppermint so I settled upon this no-bake chocolate peppermint cheesecake bites recipe. 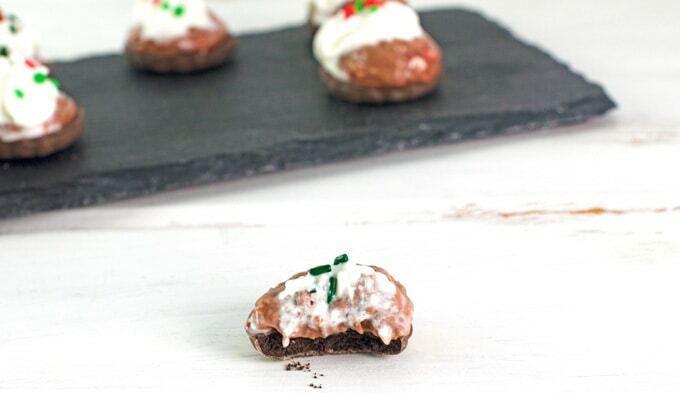 This chocolate peppermint cheesecake bite recipe is super easy since you don’t have to bake anything and you’re still getting some cookie love in there, too. Thanks to shopping at Save-A-Lot these bites only cost a few bucks to make. Cream cheese bricks at most stores these days cost a whopping $2+ each unless you find a really good sale. But, at my local Newport News Save-A-Lot I found them for less than half that price, along with great deals on a ton of other products to make my Christmas party appetizers with, which makes my holiday budget super happy. Find the closest Save-A-Lot to you here and also sign up for the Save-A-Lot Smart Shoppers Club to find more great savings. P.S. Don’t miss the Save-A-Lot gift card giveaway later on in this post! 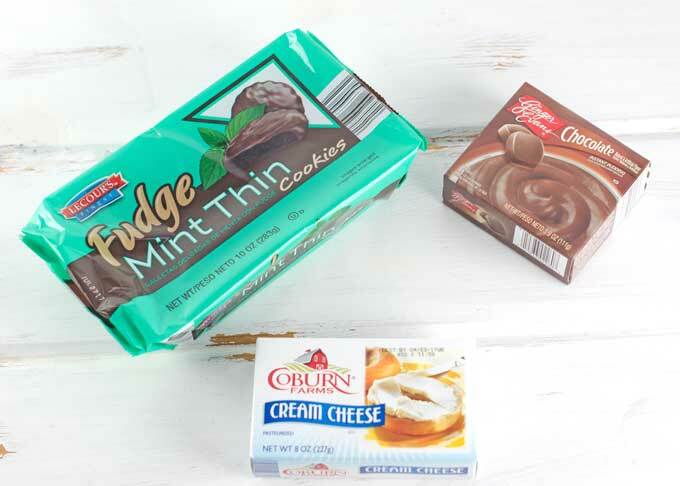 These cheesecake bites come together in just a few minutes. Honestly, the hardest part is remembering to take the cream cheese out so it can soften. I like to pile the bites onto a plate so guests can easily pick one up and continue mingling. You can make them extra pretty by topping with some whipped cream and extra crushed peppermint candies or holiday sprinkles. Here’s how to put them together. 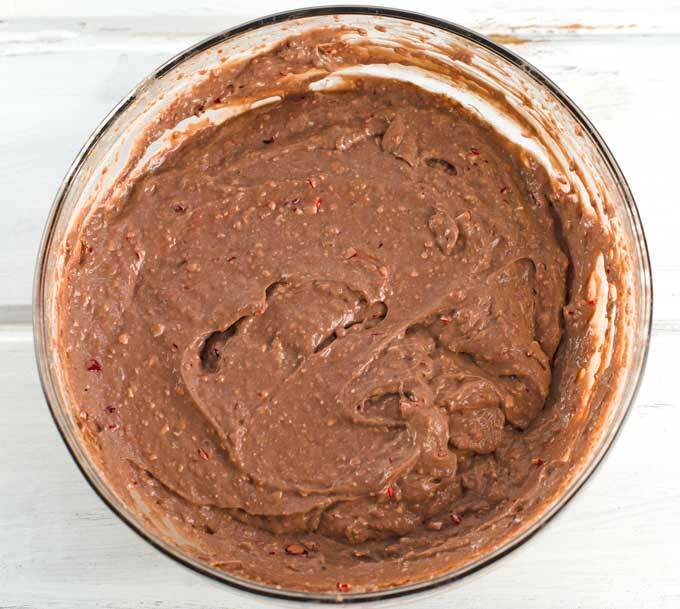 Place cream cheese in a medium mixing bowl or bowl of a stand mixer. Mix on medium-high until the cream cheese is very smooth. Slowly pour in milk and beat until mostly smooth. This will help prevent lumps of cream cheese in the mixture. Add in chocolate pudding mix, salt, and extract and beat for about 3 minutes or until mixture has thickened. It should be able to thoroughly coat a spoon without pour off, like soft whipped cream. Stir in crushed candies. Cover bowl and let sit in fridge to continue thickening for at least 5 - 10 minutes. To serve, pipe cheesecake mixture onto the flat side of chocolate mint cookies and place on serving tray. 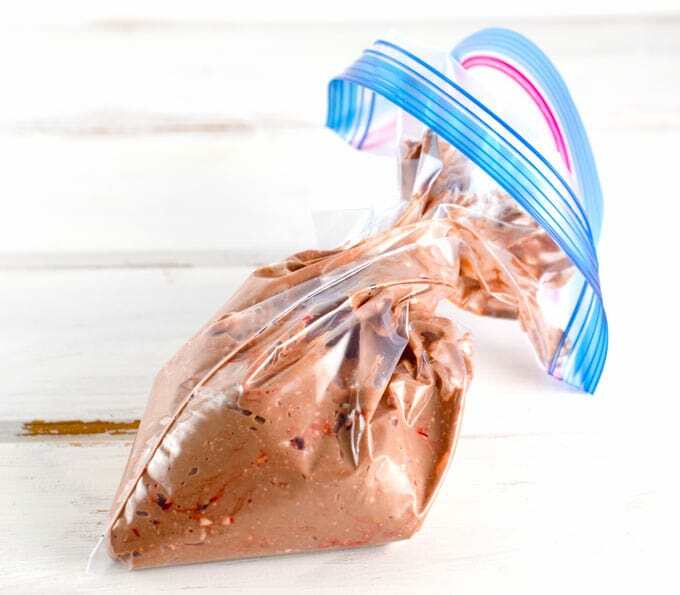 I just pile the cheesecake mixture into a large plastic zip top bag and cut off one of the bottom tips to serve as my piping bag. Top with any desired additional toppings. I used whipped cream and more crushed peppermint or festive sprinkles. Serve immediately or freeze until ready to serve. Please note that exact number of bites will depend on the cookies used. If serving in a warm room you may want to freeze the cheesecake bites prior to serving as they may begin to melt a bit after a half hour or so. You can freeze after decorating with whipped cream, etc. I like to buy snacks.